We open again on the 17th of April 2019. 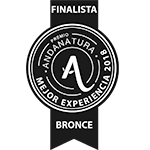 A unique experience in one of the most amazing areas of Andalusia, where you will discover the sensation of flying without wings. 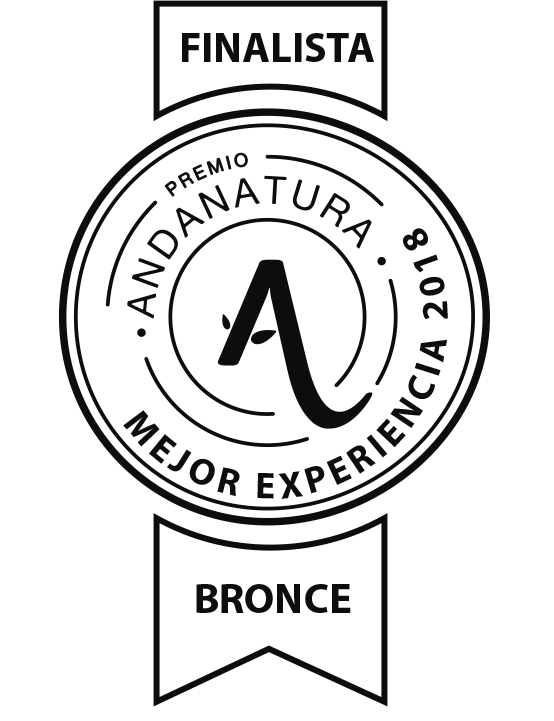 Make a gift of LÍMITE ZERO which is more than a gift… it will make one minute something to remember all your life. In less than 30 seconds you can reserve your jump and convert a journey in a unique experience… Shall we take the leap? Sanlúcar de Guadiana is located on the very banks of the river and has jetties from where you will be able to take boat trips. LÍMITE ZERO is the only cross-border zip line in the world. In a jump of 720 m, you will be in Portugal (Alcoutim) and will be able to take some unique photographs. 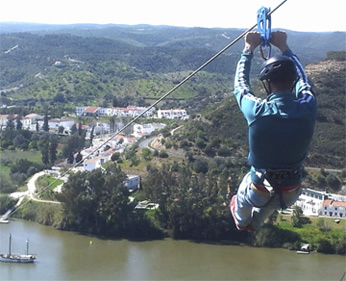 LIMITEZERO offers visitors a unique, unforgettable experience crossing over the River Guadiana from Spain to Portugal on the first cross-border zip line in the world. When you reach the other bank you will have gained 1 hour. Along 720 metres joining two countries. There are no time limits on visits to Alcoutim. Don’t make excuses! It’s time to be brave! But if you do have any queries, here are a few of the frequently asked questions people make so that you can find some answers to your questions. We are located in front of the Sanlúcar de Guadiana jetty (next to the Tourist Information Office and the Asador de San Marcos bar), just at the point where the ferry disembarks. You can check the booking system to see our timetable. It changes over the year, depending on the hours of daylight.  Outside peak season (from 1st July to the middle of September) we close on Mondays and Tuesdays. We operate according to Spanish time (GMT+1), therefore one hour more than in Portugal. Do I need my passport? No, we are in the Schengen zone where there is free cross-border travel. Where are the nearest airports? The nearest airports to Sanlúcar are in Seville (Spain) 150 km away, and Faro in Portugal, 100 km away. Is there are special transport service? Yes. Fun River cooperates with us provide return travel. You can contact them by telephone on: 00351 682 962 605. How can I get to Sanlúcar de Guadiana from Seville by public transport? It is not easy if you intend to do the return trip on the same day. There is a regular bus service from Seville to Huelva provincial capital. From Huelva there is a bus that leaves the bus station in the city at 18:00 and arrives in Sanlúcar at approximately 19:40. The bus from Sanlúcar to Huelva leaves at 08:00 am. This services operates every day except Sunday. There are other alternatives to reach places near Sanlúcar: There are buses from Huelva that arrive in Villanueva de los Castillejos at around midday. O to Villablanca or Ayamonte. From these places the only option to get to Sanlúcar is to take a taxi. How can I get to Alcoutim from Lisbon, Lagos or Faro by public transport? It is not easy if you intend to make a round trip on the same day. By train: Taking the train from Lisbon or Lagos to Faro. In Faro you may have to change trains to continue on to Vila Real de Santo Antonio. 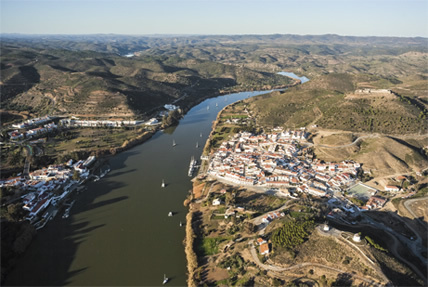 From the train station there is a five minute walk to the ferry office (in front of River Guadiana), where buses leave for Alcoutim. There is only one bus a day on Monday, Wednesday and Friday (except public holidays). You can check train schedules on this website: http://www.cp.pt/passageiros/pt selecting ‘Regional, inter-regional services’ and find the schedule from Lagos / Vila Real de Santo Antonio. Can I leave my car in Alcoutim (Portugal)? Yes, there is a constant ferry service from one side to the other between Alcoutim and Sanlúcar. Can I bring a rucksack? Yes, you may bring small rucksacks with you. If you want to bring a large rucksack, you can leave them at our office or send them to Portugal on the ferry before you travel across on the zip line and then collect them when you arrive. Book your jump now and enjoy an unforgettable experience. 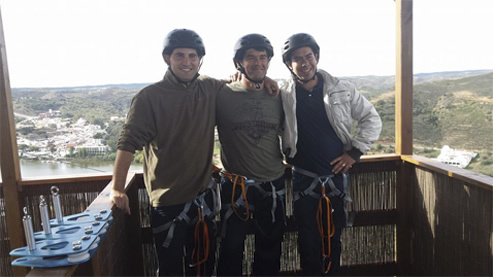 LIMITEZERO provides its visitors with a unique, unforgettable experience crossing over the River Guadiana from Spain to Portugal on the first cross-border zip line in the world. Along the 720 metres joining the two countries users cross over the river at speeds between 70 and 80 km/h.